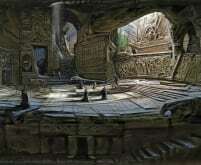 ‘Solitude’ is official concept artwork used by Bethesda Game Studios for The Elder Scrolls V: Skyrim. This limited edition Certified Art Giclee™ print is part of the official The Elder Scrolls V: Skyrim fine art collection by Cook & Becker and Bethesda Softworks. The print is hand-numbered and comes with a Certificate of Authenticity signed by Senior Concept Artist Ray Lederer. 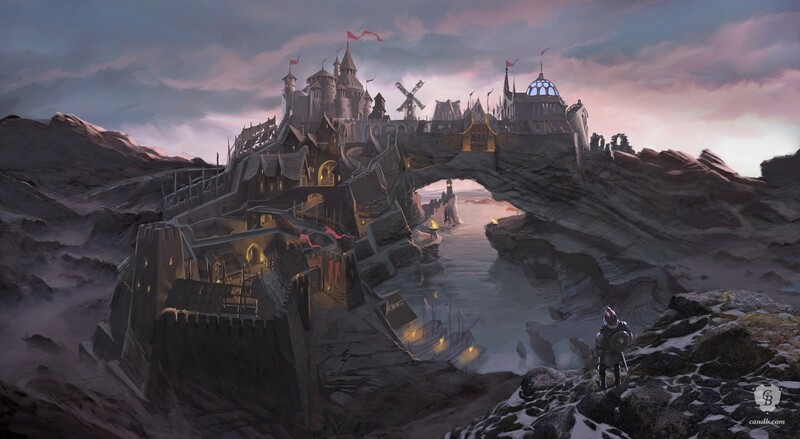 Concept art sketch for Solitude, the capital city of the land of Skyrim.